Dishwashers are one of the best appliance inventions for your home. Sometimes, though, the dishwasher may not operate properly due to problems with the water supply or drain lines. 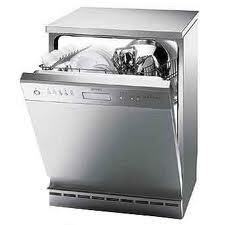 Dishwasher installation is delicate work and improper installation can cause your system to break down. Luckily, the professionals at J.B Plumbing and Rooter can help with your Dishwasher Installation! We understand that dishwashers and kitchen water lines have to be installed properly by professionals so that they don’t create any problem in the future. That’s why we offer best customer friendly kitchen plumbing services when it comes to Dishwasher Installation. The qualified plumbers and technicians at J.B Plumbing and Rooter can install and replace all dishwasher brands and we hook up their water supply lines and drains to provide you with years of trouble-free service.